My friend Ceolophysis wrote to you a little while ago, and he told me that you were a very nice boy and that I should write to you. I hope that you like dinosaurs because we sure like you. 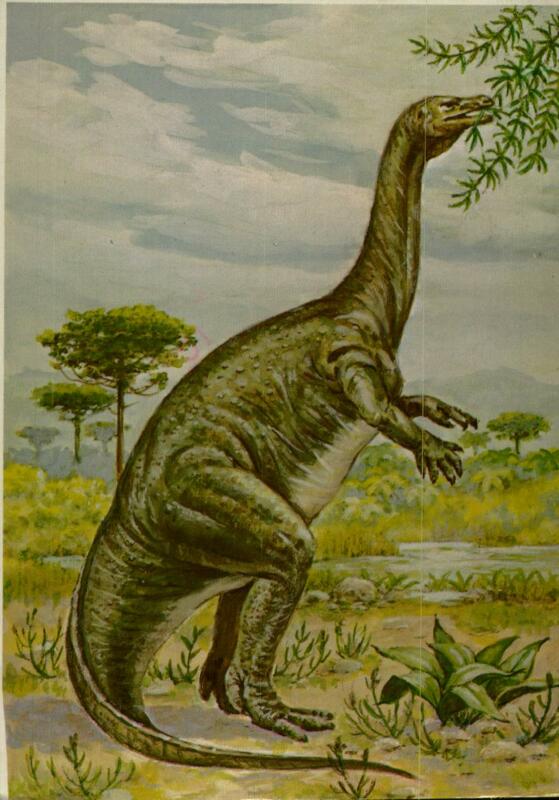 Plateosaurus (Triassic period). From an original painting by Matthew Kalmenoff. 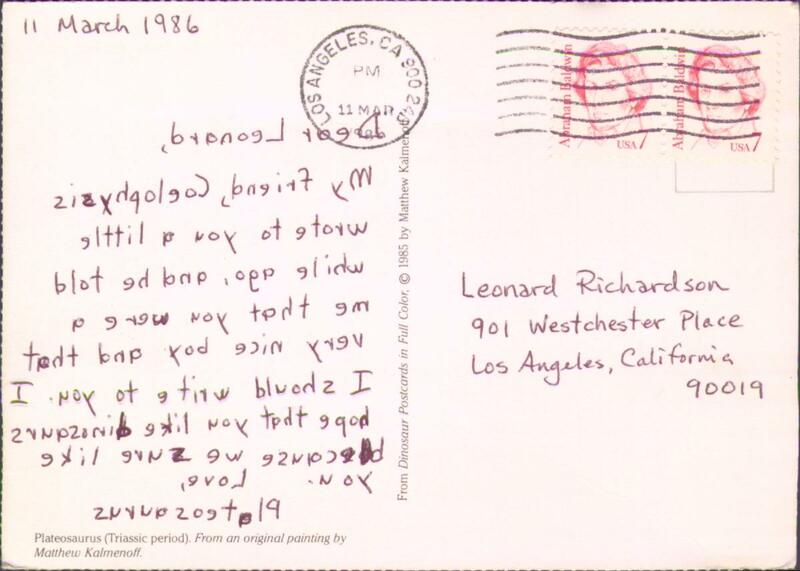 This document (source) is part of Crummy, the webspace of Leonard Richardson (contact information). It was last modified on Thursday, November 26 2015, 04:03:03 Nowhere Standard Time and last built on Saturday, April 20 2019, 16:00:38 Nowhere Standard Time.